The SLHF eventually wants to open a 12-bed hospice in St Luke’s Hospital. SIX STATE-OF-THE ART palliative care beds are to be opened in St Luke’s Hospital General Hospital in Kilkenny. The Susie Long Hospice Fund (SLHF) has provided €50,000 for the new specialist beds, equipment and furnishings. 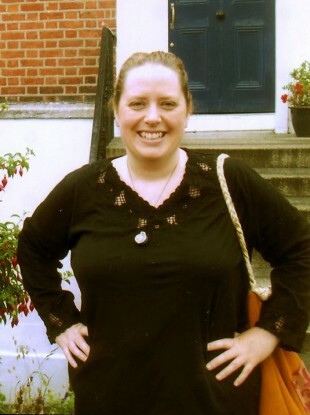 The Fund was set up in October 2007 to honour Susie Long who died from bowel cancer at the age 41. Susie’s husband Conor Mac Liam and their two children, Áine and Fergus, have welcomed the new facilities at St Luke’s. “As a family, we are relieved and delighted to see the new facilities for palliative care patients and their families. If these beds were available when Susie needed full-time care towards the end of her life, it would have been a great comfort to her and our family. “This is real progress for patients and it’s a step closer to the day when we will open the full 12-bed hospice in Susie’s memory in Kilkenny,” Mac Liam said. Chairman of the SLHF Fund Tommy Roche said the group is “delighted to provide support to palliative care patients” in the hospital. Roche thanked the hospital’s management and staff for “their ongoing commitment to palliative care patients in Carlow and Kilkenny”. The SLHF has raised over €688,000 to date, as well as awareness of the need for hospice care for patients throughout the country. “It is thanks to the generosity of the people who donated to the Susie Long Hospice Fund that palliative care patients will now see real benefits. We look forward to the day when we return to St Luke’s to open the permanent 12-bed hospice,” Roche stated. The group will soon fund a family area in the hospital. Junior Minister Ann Phelan, a TD for the Carlow-Kilkenny constituency, will officially unveil the new beds at the hospital at 11am on 10 October. Email “Susie Long Hospice Fund set to open six palliative care beds in Kilkenny”. Feedback on “Susie Long Hospice Fund set to open six palliative care beds in Kilkenny”.